A prospective client contacted me asking whether I could make a sample of bunga pahar daun getah with pink and black as the wedding color theme. It has been a while since I got supply of daun getah. After looking high and low, I finally found a supplier who was willing to do raw bunga daun getah. It was a smooth transaction and I really hope she will be able to continue making such flowers. Since I have never done anything black, it was quite tedious for me to scout for materials. 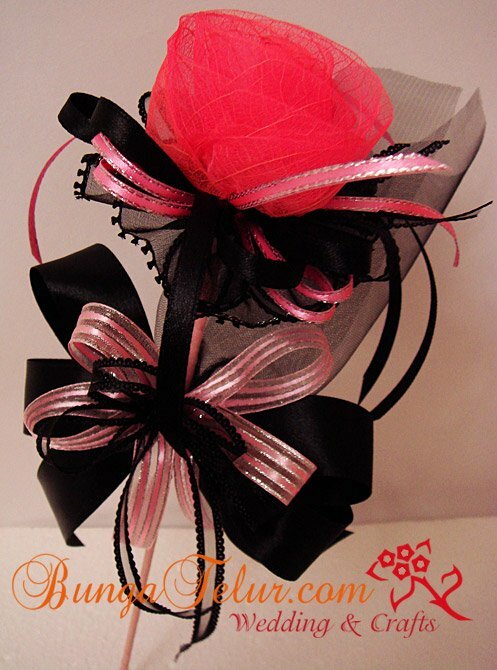 I went to the nearest SSF and bought quite a lot of ribbons and organza in dark pink and black. So here is the first sample I made. I think I will do a few more samples with different color combination like silver and pink, cream and pink and white and pink just to see how they look like. The best part of being a DT or Guest Designer for any kit club or scrapbooking brands is that you get to have products to use and giveaway. 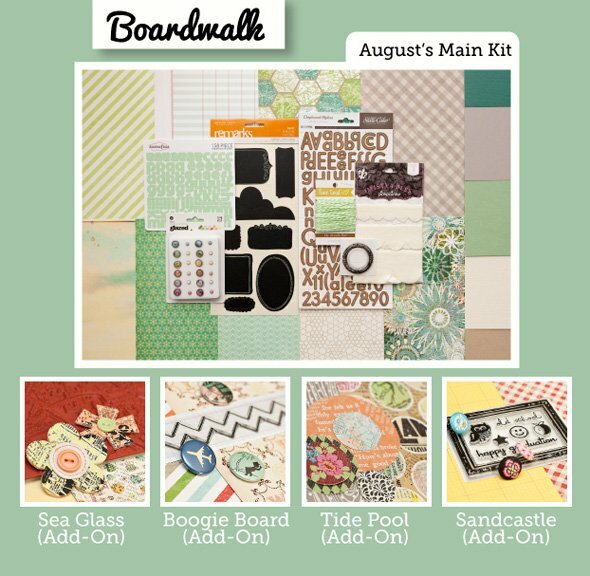 Studio Calico’s August guest designer, Kim Watson has this one kit to giveaway. Oh, if only I could win this giveaway..huhu..well, I’ve never won any giveaway before. Never have any luck in that area no matter how many giveaway shouts I participate..huhu! For those who love to participate, you have until 7th August. Do check out her blog – Kim Watson. Hello people!! 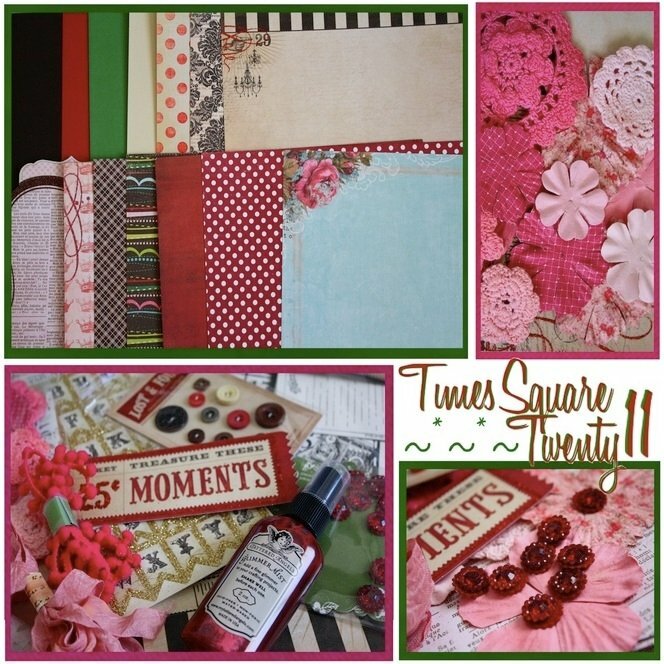 Pixie Dust Paperie is giving you a chance to win this lovely Pixie Kit – Times Square Twenty 11 December Kit just for helping them spread the word about them! 2. Post on your blog about this giveaway with a link back to them, go back to this page – Pixie Dust August Kit preview and tell them about your post and you’ll get another chance. This giveaway will run from 31st July till 18 July. A winner will be selected randomly and announced on 20th August at The Pixie Blog. Come on scrappers and cardmakers, who knows you might be the lucky one! !